Now that the doors to Forsaken World: Homecoming are finally open you’re probably looking at all those new features and thinking to yourself… Flowers??? Well think no more! With this easy to use guide, you will learn a bit more about the Ante Garden Flower system and why you should care! 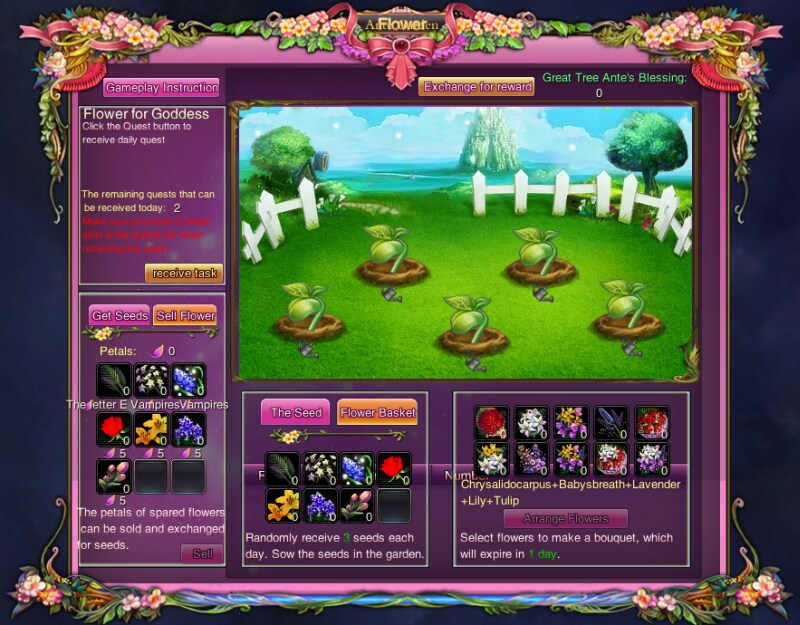 The Ante Garden is available to any player who is part of a Guild, to access the system, simply press the ‘G’ key and open the Guild Menu. 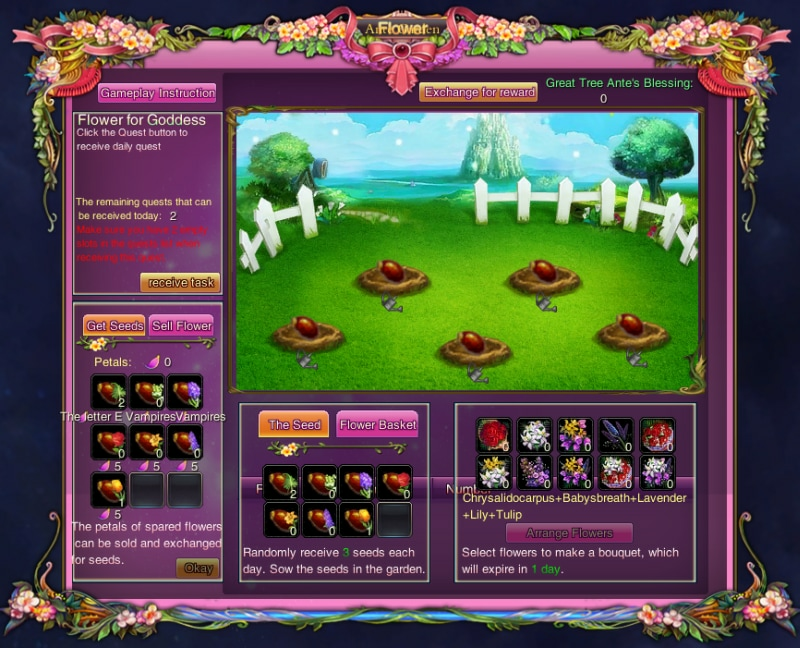 Click the flower in the lower right side of the menu and it will bring you to your garden. From here you can collect seeds that are automatically given to you every 24 hours. The main objective in the Ante Garden is to plant seeds and cultivate flowers to arrange into beautiful bouquets. Turn these bouquets in to the Ante Tree and you will be rewarded with favor. 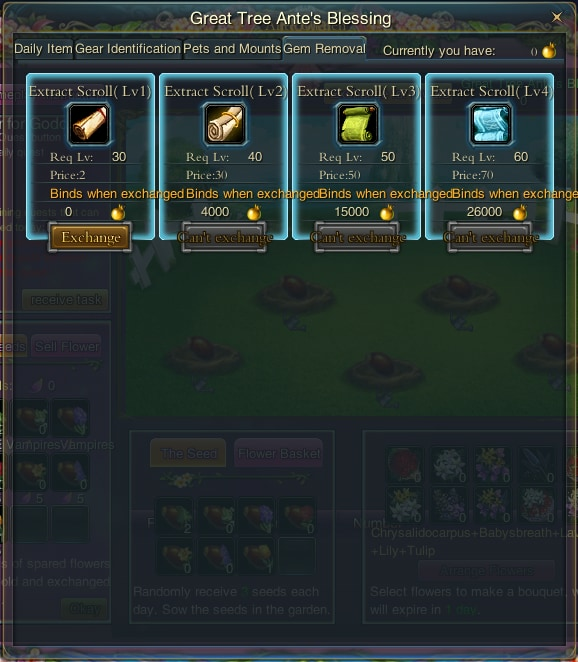 Click the Rewards Button at the top of the Ante Garden Menu and you can exchange the favor you earn for items that grant bonus experience, soulpower, or even help extract gems from your gear. It's that easy. 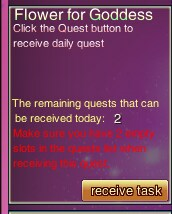 Each day you will receive 3 quests from the Ante Tree that either grant rarer seeds, more Ante Tree Favor and experience. In addition to creating bouquets, you can trim and prune these flowers for their petals. 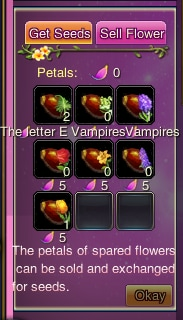 Sell the petals for more seeds and soul gold. All these options can be found in the selling section of the Ante Menu on the lower left of the UI. We hope you enjoyed this look at the Ante Garden. For more guides and help, look through the guides section!